Was your July too hectic to get around to hosting a Norwex party? Don’t worry, our mop deal is EXTENDED THROUGH AUGUST! The notorious “mop month” is everyone’s favorite because they get the opportunity to earn our entire Norwex Mop System for free! Yes, FREE! This month is almost an even better month for this deal because you’ll also have the opportunity to show off our new fall catalog! We also have added another pricing category at $1200. This is a great opportunity for you to earn 14% of all of your sales in shopping spree dollars! Potentially get your house stocked up with some of all of the new Norwex products for free!! At $350 in sales, you’ll get a variety of Norwex kitchen tools– Kitchen Scrub Cloth, Kitchen Towel, Spirisponges, and Microfiber Variety Pack. This is a must-have bundle of products for your kitchen. 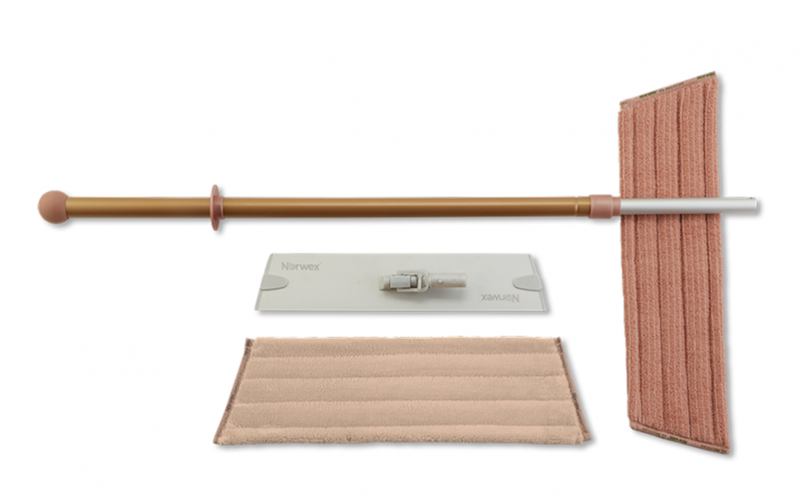 At $550 in sales, you get our Norwex Mop System with the Telescopic Handle, Large Mop Base, Chenille Mop Pad, and Wet Mop Pad Recycled. The Norwex Mop System is arguably our top product. People rave over this mop, but it is the most expensive of our products. This makes hosting this month the perfect opportunity to get a mop system of your very own! If you already have our system, what an amazing gift to give! Once your party reaches $750 in sales, you’ll receive the Dry Superior Mop Pad. The Dry Mop Pad self-purifies, and is great for picking up all of the hard-to-get dust and hair on the floor. At $1000 in sales, the Norwex Mop System will be upgraded to our NEW Nordic Naturals Mop System! You’ll also receive the Rubber Brush and two Sink Mats. Just when you thought our mop system couldn’t get any better, Norwex outdid themselves with our Nordic Naturals Mop System. Its design is lovely, and it is multi-functional! Lastly, once you reach $1200 in sales, you’ll get to upgrade your mop system to have Ergo-bend. You’ll also receive our new leaf-pattern napkins! The Ergo-bend is great for reaching those really low and areas that like to collect dust. You can also wrap our window towel around the mop and use the Ergo-bend to your advantage to clean windows! 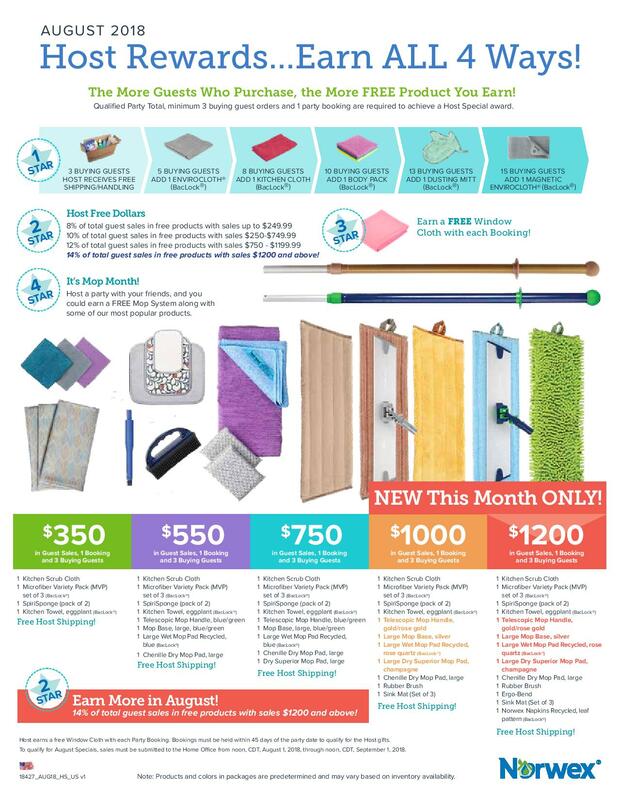 Are you ready to get your very own Norwex Mop System, and much more for FREE? Contact me today and let’s get planning!